The Capesize bulk carrier Cape Leonidas suffered engine failure on Elbe river near Kollmar, Germany. The vessel was proceeding en route from Narvik to Hamburg, but lost propulsion power after blackout. The ship had dead inertia and pushed by the current was without ability to maneuver. 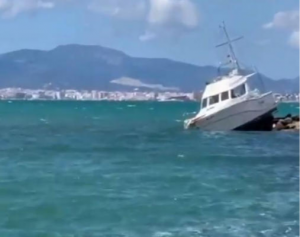 The crew dropped anchor by emergency to prevent grounding or collision. The operations for anchoring was successful and the ship was secured at the shipping way. 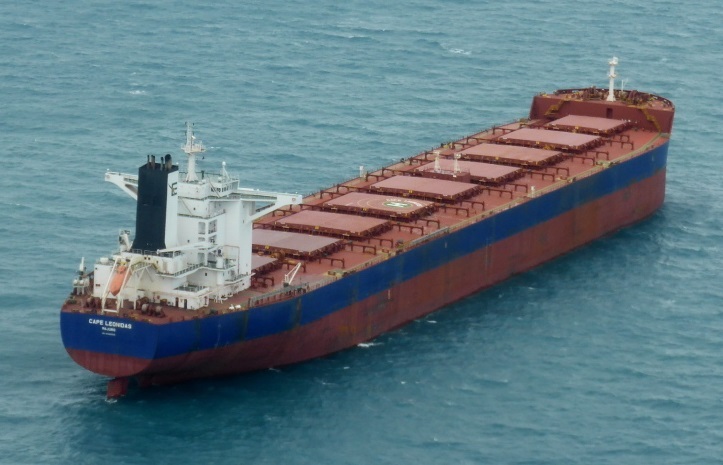 The accident was reported to the local authorities and at the scene were dispatched five tugs, which took the Capesize bulk carrier under tow. The convoy moved upstream to Hamburg, where the ship was docked for repairs and safety inspection. The traffic at the area was suspended during emergency anchoring and further salvage operations, which formed queue in both directions. Later after towing the traffic was released and ships resumed voyages. Fortunately during the incident there were no injured people and no water pollution. The local authorities started investigation for the root cause of the accident. The Capesize bulk carrier Cape Leonidas (IMO: 9488865) has overall length of 292.00 m, width of 45.00 m and maximum summer draft of 14.90 m. The deadweight of the ship is 180,149 DWT and the gross tonnage is 93,565 GRT. The Capesize bulk carrier was built in 2010 by Daehan Shipbuilding in the yard in Hwawonmyun in South Korea. The owner and operator of the ship Cape Leonidas Greek company Empire Bulkers.